The FreeMotion EPIC Utility Bench F204 is ideal for working out in any strength training area. This compact, convenient bench can be used for dumbbell exercises and other free weight workouts. The contoured backrest and seat pad offer enhanced comfort while the chrome-plated footrest provides essential support. The FreeMotion EPIC Utility Bench F204 features a handle and 2-inch wheels for easy portability and can be bolted to the floor through predrilled holes for added stability. This convenient and durable exercise unit is ideal for high traffic areas such as gyms and sports clubs. Call 1-800-875-9145 to speak with one of our fitness agents with any questions you may have. Go To FitnessZone.com today to order your FreeMotion EPIC Utility Bench F204. 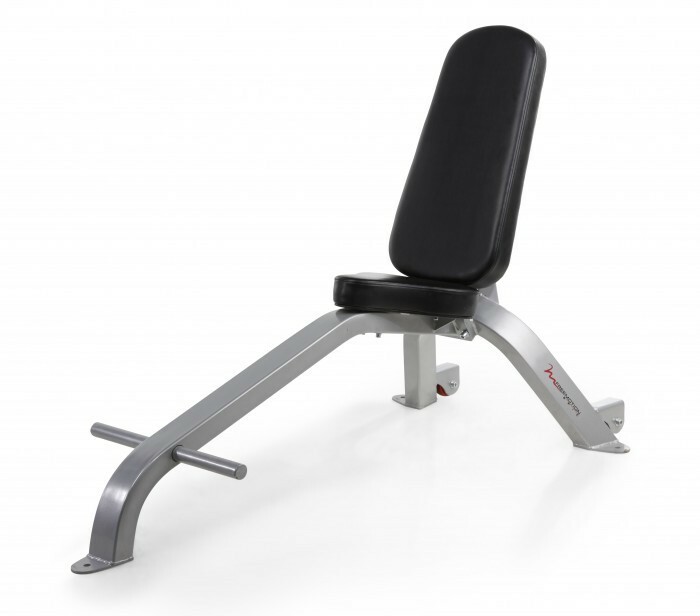 Order your FreeMotion EPIC Utility Bench F204 from FitnessZone.com today!